There are many things it would be good to know about Masonry, and it takes a while to get a grasp of what it is all about. 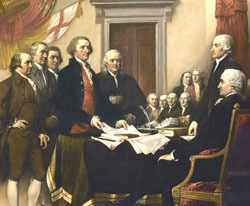 That is largely due to the tradition of secrecy within this ancient society. Yet even so, it does exist and act in the present world, so it is all understandable to anyone who wants to know. Even brothers who have been Masons for many long years will occasionally discover something within this craft that had been covered by the mists of time. Those bits from the early days of Masonry can still stir that wonderful feeling of what it was like when everything was fresh and new. Whether you are new to Masonry or have been around the track many times, you are likely to find something here that is intriguing. Feel free to share what you know also. Many others already have, as you will soon see. Great books. One of the best is The Craft and Its Symbols. You have to see this! 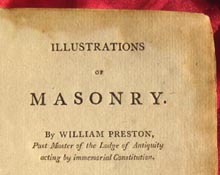 The first American edition of William Preston's "Illustrations of Masonry" (1804) and other rare books emerge from a private collection. Includes ritual books in Masonic cipher. 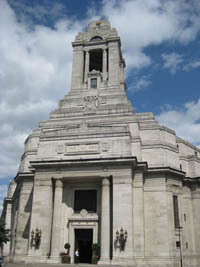 An overview of Freemasonry's history from Solomon's Temple to the 1700s and up to today. Read the best lecture of 2018, delivered at the Provincial Grand Lodge of Worcester. 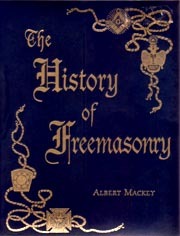 Here is a collection of the best books on Free- masonry as voted by our readers. A list of the latest books on Freemasonry, which include reprints of old classics as well as interesting new works. The History Channel aired an intriguing program recently about the Knights Templar, Freemasonry, and speculation about when they might have come to America. 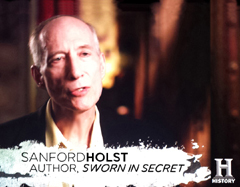 Historian Sanford Holst, who is a Mason and Knight Templar, was one of the experts asked to address these various connections. Further details of these relationships are explored in his book Sworn in Secret. 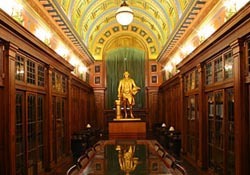 to this collection of sources, books and articles that explore Freemasonry's practices, lodges, brotherhood -- and the history of how they came about. Here we focus on the actual people and events that caused Masonry to grow into the world's oldest and largest fraternity. 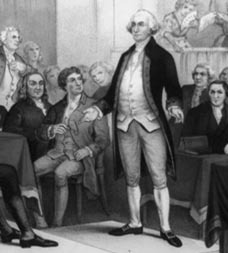 Most of Freemasonry's known history occurred after its emergence into public view during 1717 in English taverns. 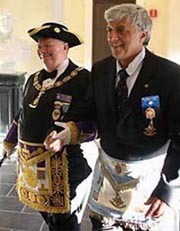 Before that time we mostly have colorful Masonic traditions such as the one saying that Adam must have been part of Freemasonry in the Garden of Eden. These traditions have a treasured position in the allegories that suggest how to live a good life. 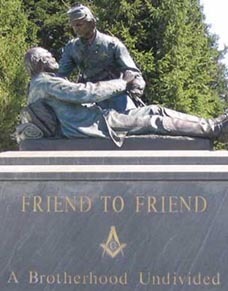 Yet to really know what Freemasonry is all about, and why its rituals and practices contain so many hidden meanings, we need to know more about what happened in those days. 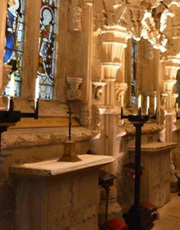 It is a wonderful, rich and fascinating field, and we explore it all here. Some interesting thoughts on ways to reinvigorate Freemasonry by using Old Time Freemasonry are explored in this article and book. 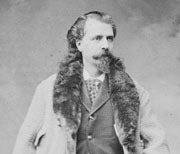 See Old Time Freemasonry here. in the USA and UK.